We’ve noticed somewhat of a trend lately, folks swapping Corvette V8’s into Porsche’s. We’ve seen some Porsche Boxster builds, some 944 builds and some 911 builds all with a big American V8 powering the performance machine. Now there is a lot of controversy about such things. Many purists of any manufacture think it is wrong to put an engine from another marquee in the car. After all the engine is the heart of the car and as such shouldn’t you use the power plant that was intended? But, is there room for such builds and do they make sense? Does Upgrading An Early Porsche Boxster To Use A 911 Engine Make Sense? The early Porsche Boxster (986) is an incredible value in the sports car world. It is a well balanced car that can out handle just about anything and you can find plenty of very good well maintained examples for under $10,000. The 1997-1999 Boxster isn’t very fast in a straight line compared to more modern cars. Porsche claimed a 0-60 mph time of 6.7 seconds (although multiple magazines that tested these early cars managed times around 6 seconds flat) and a top speed of 149 mph. These figures aren’t bad, but every now and then it would be nice to have just a bit more power. 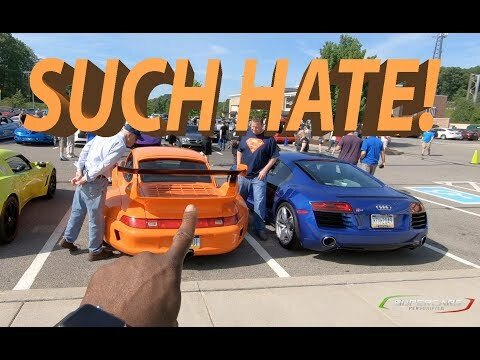 One option to up horsepower is to drop in an engine from a 911, but does it make sense to do this? Click past the jump (or scroll down if you came directly to the full article) to find out more about the Porsche Boxster 911 engine conversion. What Is A Boxer Engine? A Boxer Engine can be quite a power plant. In automobiles they have been used in various models, but the air-cooled Volkswagens, Mid and Rear-engined Porsches (with a few exceptions) and many Subarus are the best known. The design has many advantages from a lower center of gravity to reduced vibrations. The engines can also be very powerful, just look at what Porsche has done with the GT3 as an example. 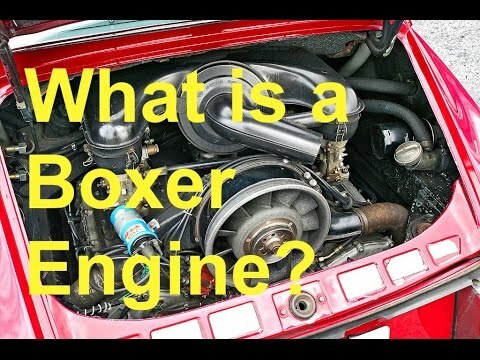 This video gives a brief explanation of what a Boxer Engine is. It talks about the design and its advantages. Even if you already know what a Boxer Engine is this can be a handy share for any friends that don’t know what it is or why it is special. Check out the video below and then let us know your thoughts on it in the comments. Trouble watching this video? Click here. Volvo is not usually known as a performance company. After all they are the place that when they tell their engineers to make a wild performance machine, they instead manage it make it a little bit safer. So a high performance concept engine coming from the Swedish automaker is not what one would expect. But they have built a 2.0-liter 4-cylinder engine that puts out 450 horsepower. The small engine uses three turbochargers to allow for the high output and still provide a gradual power curve. This helps keep it from having that turbo lag feeling when driving. The engine produces less emissions and uses less gasoline than other engines with the same power output. Plus thanks to its smaller size and weight, it should provide even better gas mileage once inside an actual car. While we doubt that Volvo will be putting out any crazy performance cars with the engine, similar engines are sure to be the future of the performance car. Couple smaller more powerful power plants with hybrid technology and future cars will be faster and more powerful, while producing less emissions and using less gasoline. While we hope the sound of a V8, V12 or flat-six never goes away, at least we know that Government regulations aren’t likely to hurt future performance numbers. We knew the new 2015 Corvette Z06 was going to have a lot of power, but the final number is quite astonishing. How much power is it? Well, enough to tear into the space-time continuum. This must be the flux capacitor that Dr. Brown used on his Delorean. When we first heard about the 6.2-liter supercharged V8 engine, the output was estimated at 600 horsepower. You would think that this would have been more than enough, but not for GM engineers (maybe they are making up for those ignition switches). No, the new engine will put out 650 horsepower at 6,400 RPMs and 650 foot-pounds of torque at 3,600 RPMs. Combine this to the relatively light weight body of the Corvette and you will have a beast. Now any guesses on just how much power the new ZR1 will have?